On Friday, Feb. 22, a sold-out Florence Filberg Centre will be filled with guests ready to enjoy camaraderie, cuisine and lively bidding on hundreds of generously donated auction items. Among the highlights of this philanthropic evening will be a live auction led by the incomparable auctioneer, Dave Stevens and a delicious dinner provided by Tria Fine Catering. A moving photographic presentation showcasing a YANA family through the lens of photographer Karen McKinnon will round out the evening. Since its inception in 1986, YANA has seen an ever-increasing need for the funding and accommodation assistance founder Sandra Williams envisioned. When she vowed that no Comox Valley family should ever be alone when dealing with the medical needs of their children and pregnant mothers, she likely never imagined how far-reaching YANA’s support for out of town travel would become. The Big Love Benefit is YANA’s largest annual fundraiser, netting well over $100,000 each year. The tickets typically sell out online in mere minutes, filling every seat in the house. With the physical capacity for the event unable to change, YANA has continued to search for ways to expand support for the event. 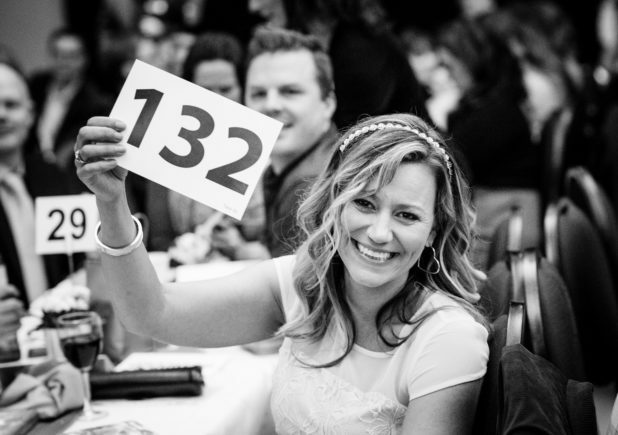 The 2019 event will see an online auction component again, this year including the opportunity to bid on four pairs of the coveted Big Love event tickets. In addition, YANA’s board directors, volunteers and staff will be selling raffle tickets in the weeks leading up to the event for a roundtrip WestJet flight for two. YANA’s purpose is to improve access to healthcare by providing travel funding and accommodation for any Comox Valley family with a child or a pregnant mother needing medical care away from home. YANA maintains four furnished apartments near BC Children’s Hospital in Vancouver and also provides accommodation in Victoria, Nanaimo, and in other treatment locations. There are many ways to get involved in the YANA Big Love Benefit. You can donate an auction item, become a sponsor, purchase a WestJet raffle ticket or bid in the online auction from January 22nd to February 2nd. For more information on all these opportunities, visit www.yanacomoxvalley.com, email events@yanacomoxvalley.com or call 250-871-0343.